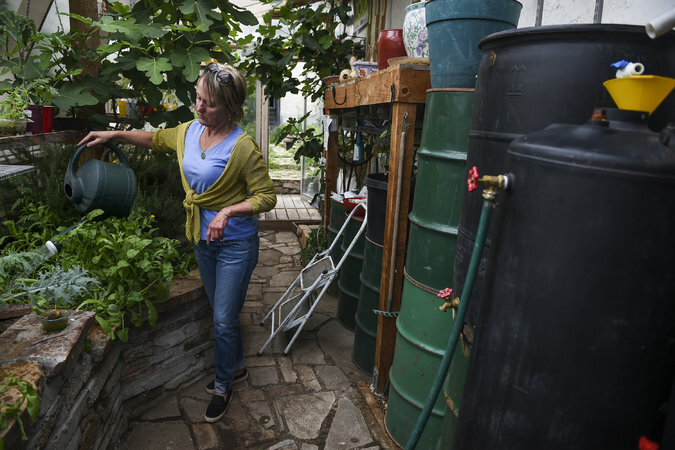 DENVER — When Jason Story bought an old soy sauce barrel to collect the rain dripping from his downspout, he figured he had found an environmentally friendly way to water his garden’s beets and spinach. But under the quirks of Western water rules, where raindrops are claimed even as they tumble from the sky, he became a water outlaw. The rain barrel debate was a microcosm of intense fights across the region over who should get to keep using water and who should have to cut back. In California, farmers and other residents are cutting their water use by 25 percent or more. Cities in Colorado’s fast-growing Front Range, in the central part of the state, are vying with farms and users on the wetter, western side of the state as officials piece together a water plan. And as water grows scarcer, critics have assailed a water rights system that is based largely on seniority and century-old claims to stream flows. 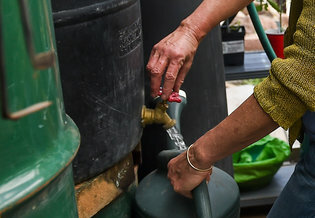 In Colorado, the rain barrel idea was modest: A bill with bipartisan support would allow homeowners to buy two 55-gallon water tanks that, together, would be able to collect about 650 gallons every year — just about what an average American uses in a week. A few years ago, laws were passed that exempted a small number of people from the rule against barrels — for example, some who are not served by municipal water systems — but legislators wanted to allow everyone with a barrel to collect and use what poured off their roof. 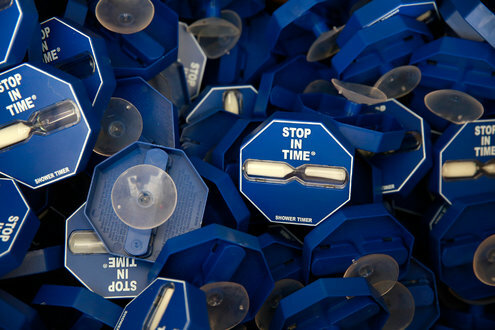 The biggest newspapers in the state got behind the idea, as did several city governments and water officials. Conservation groups said it would cost nothing to carry out and would not take any water out of the streams and rivers that supply users downstream. Most rain soaks into the ground or simply evaporates, long before it can cascade into a storm drain and toward any parched ranch or farmer’s irrigation ditch. But some irrigation officials and politicians who represent thirsty ranchers on the state’s eastern plains saw a threat — as well as a violation of property rights and water principles that are written into the State Constitution. California is experiencing the worst drought in its history, and the effects are being felt nationwide.By Carrie Halperin, Sean Patrick Farrell and Caitlin Prentke on Publish DateApril 1, 2015. Photo by Monica Almeida/The New York Times. Water use multiplies fast, and critics said that millions of gallons of water could be pulled out of the system if the entire state caught rain-barrel fever. 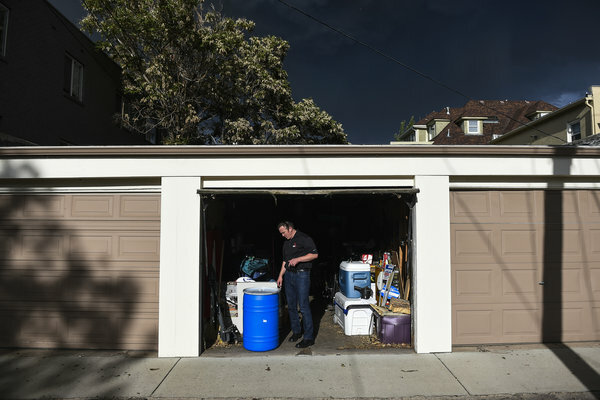 People who illegally divert water can face fines of $500 a day if they defy orders from state regulators, but a spokesman for the Colorado Department of Natural Resources, Todd Hartman, said he did not know of any case in which a homeowner had been cited for having a rain barrel. That is good for people like Deb Neeley, an office manager and urban farmer who lives near a small lake by the western border of Denver and collects water from a gutter off her greenhouse. She said that her plants grow better when they are watered by rain and that she did not feel as if she was robbing water from anyone else. But if rain barrel use suddenly explodes, she said, officials should measure whether it has any effects farther downstream.